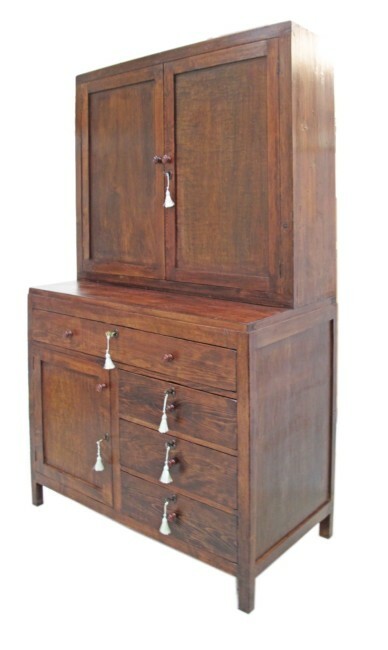 An early 20th century stained pine dresser / cupboard, probably English. Restored. W104cm, D52cm, H182cm.